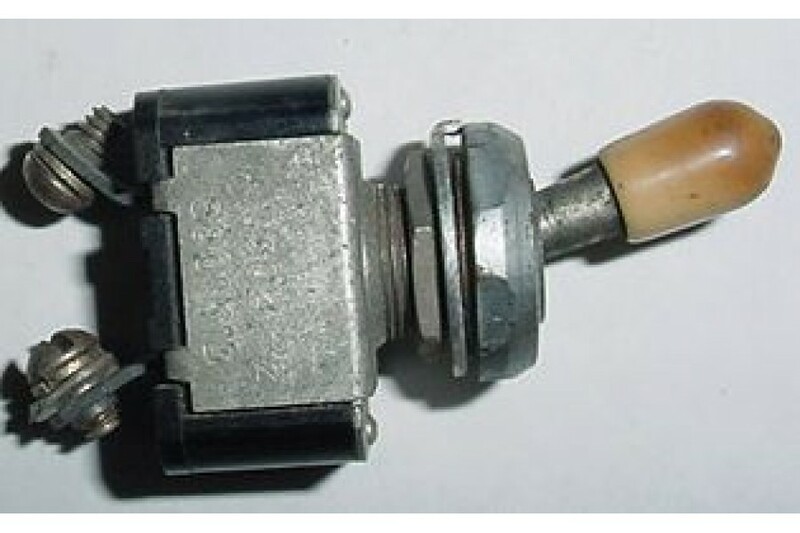 Two Position Aircraft Toggle Switch with 2 prongs. P/N AN3021-2 or 8801K13. Alternate P/Ns MS35058-22AN3321-2T1P, AN3021-2B, 8020479, 8801K7. NSN: 5930-00-112-5231. It is used, in good condition.